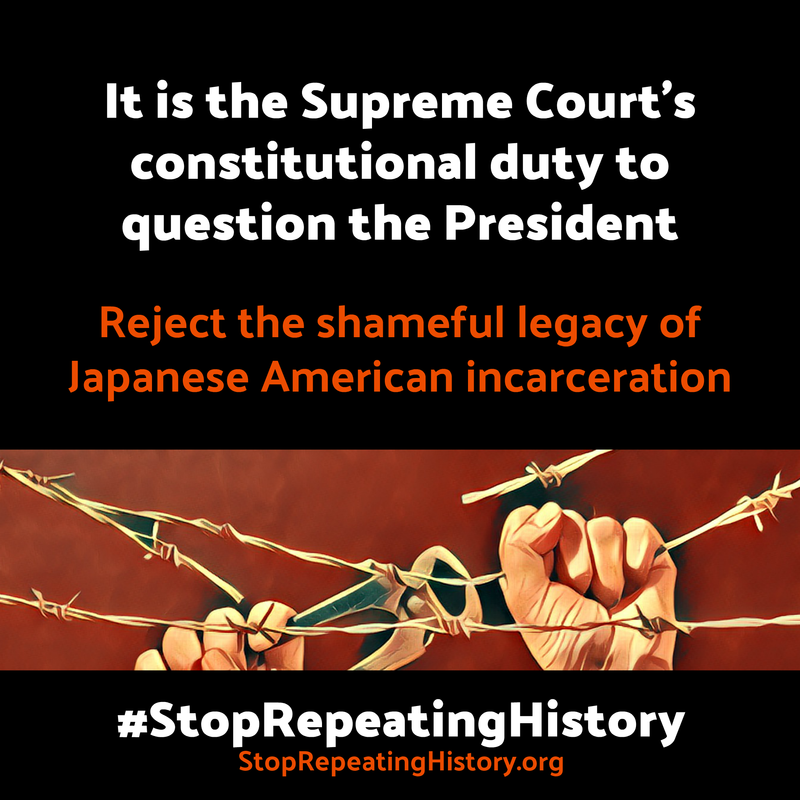 Toolkit – Stop Repeating History! 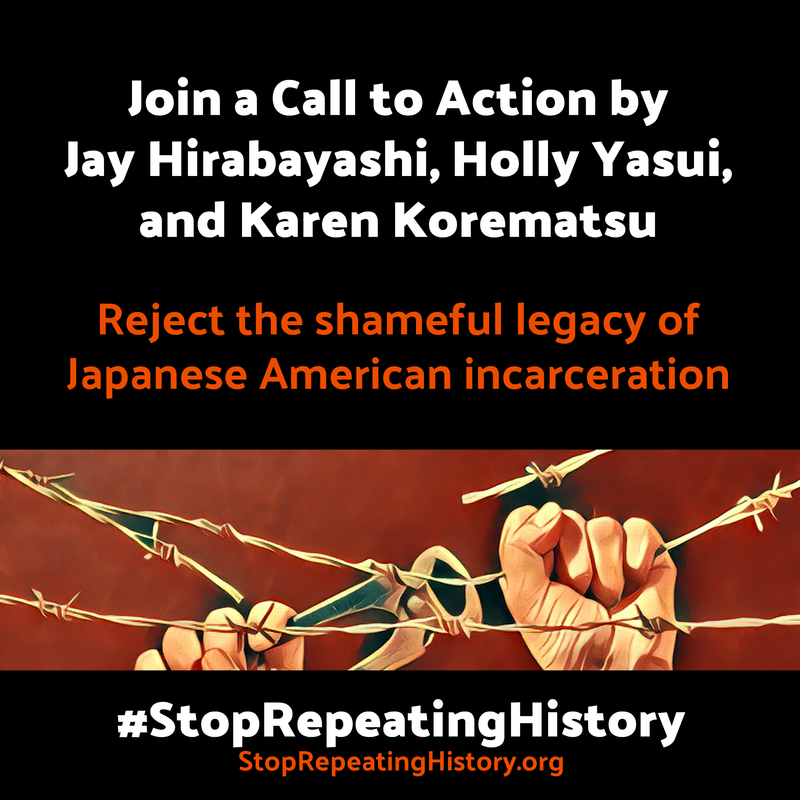 Thank you for supporting of our #StopRepeatingHistory campaign! This page provides tools that you can use to help us spread the word. 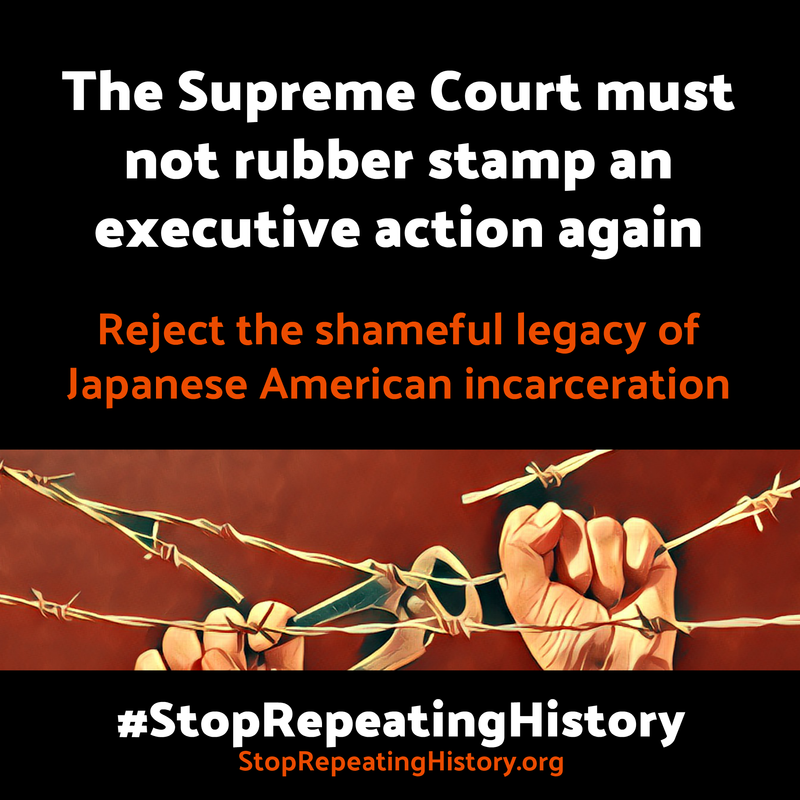 Engage supporters in tangible action to support our campaign and allied efforts. We are proud to support the #NoMuslimBanEver campaign. 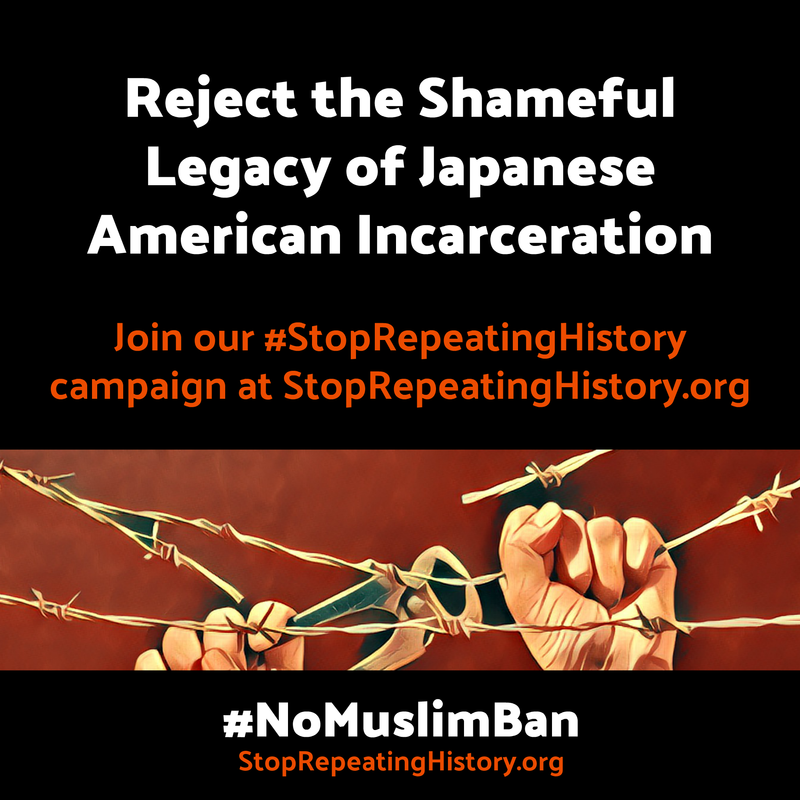 Learn more at http://www.nomuslimbanever.com. 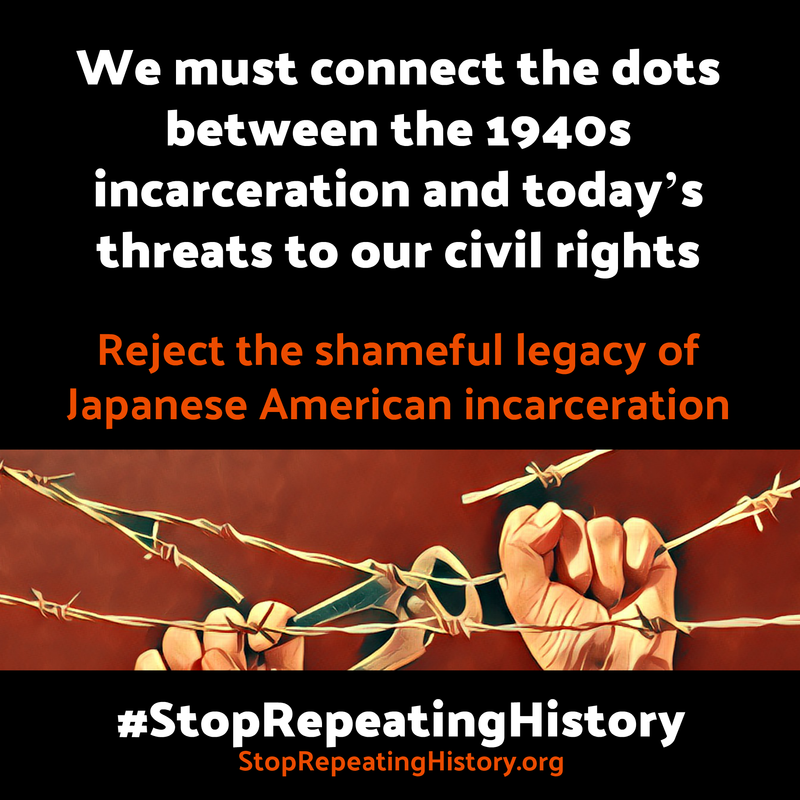 If you need customized content, or have ideas on other ways to help us, please let us know at action@stoprepeatinghistory.org. Thank you! You can also use strh.co as a short URL in posts to save characters.